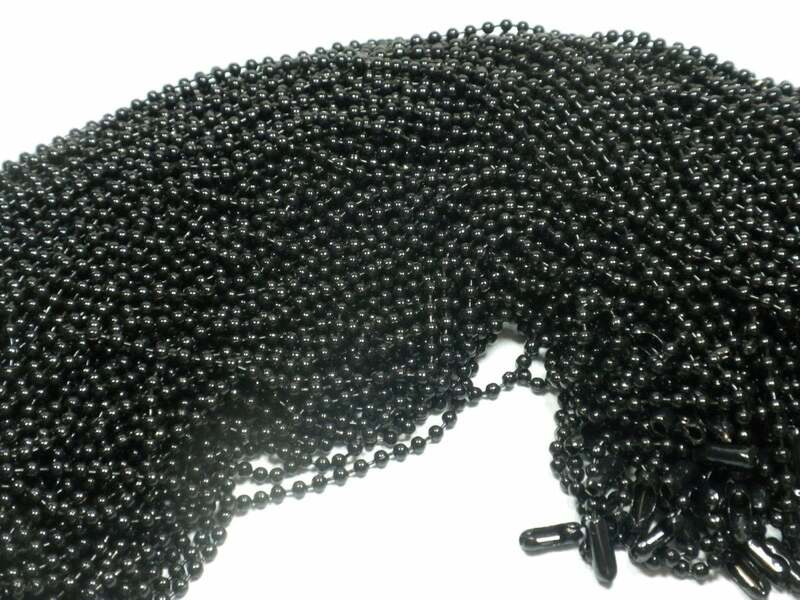 These are 50 black colored ball chains that are 24" in length. 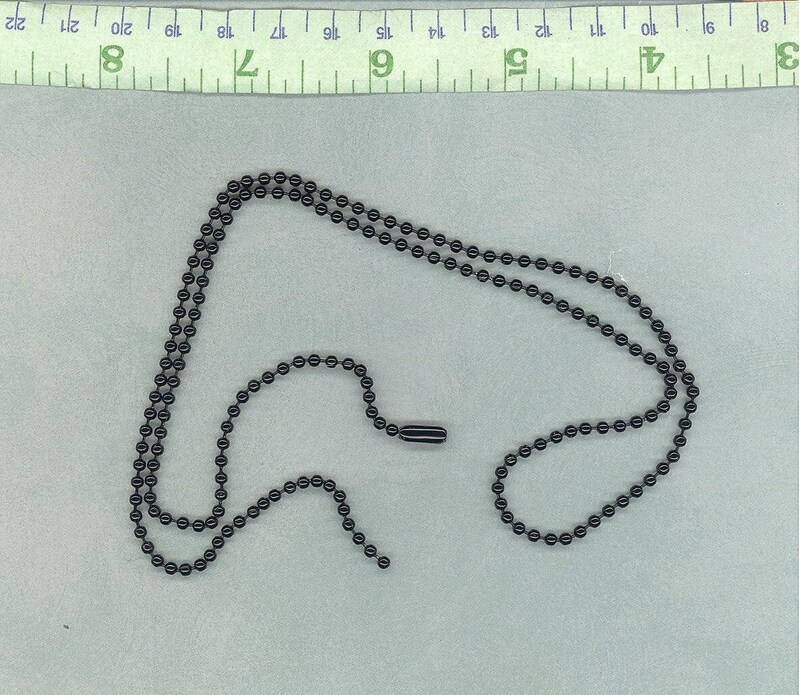 They are 2.4mm in diameter. 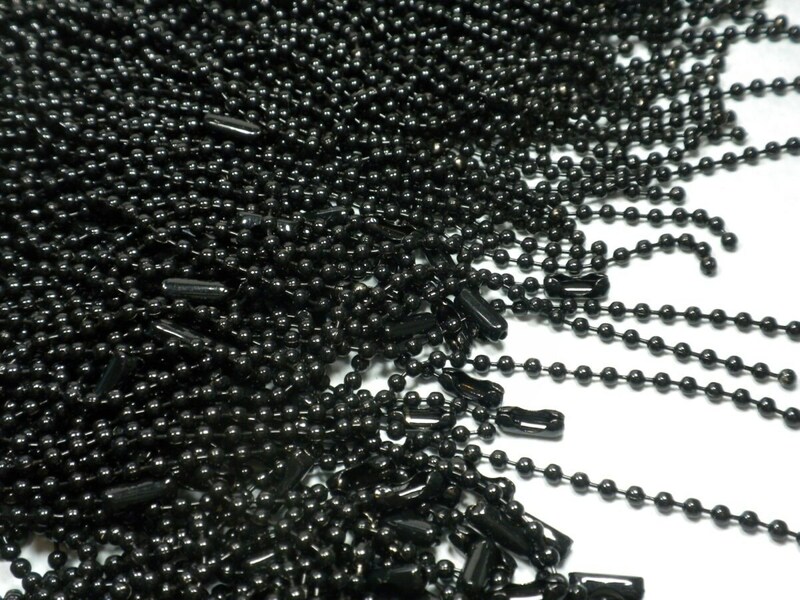 Ball chains are versatile because you can use household scissors to cut them down to the desired length. 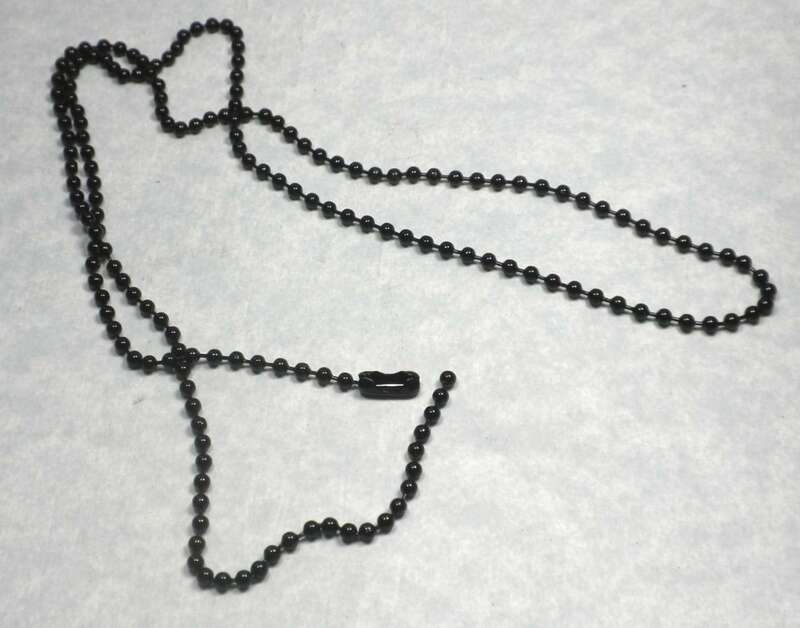 Each chain includes the connector. 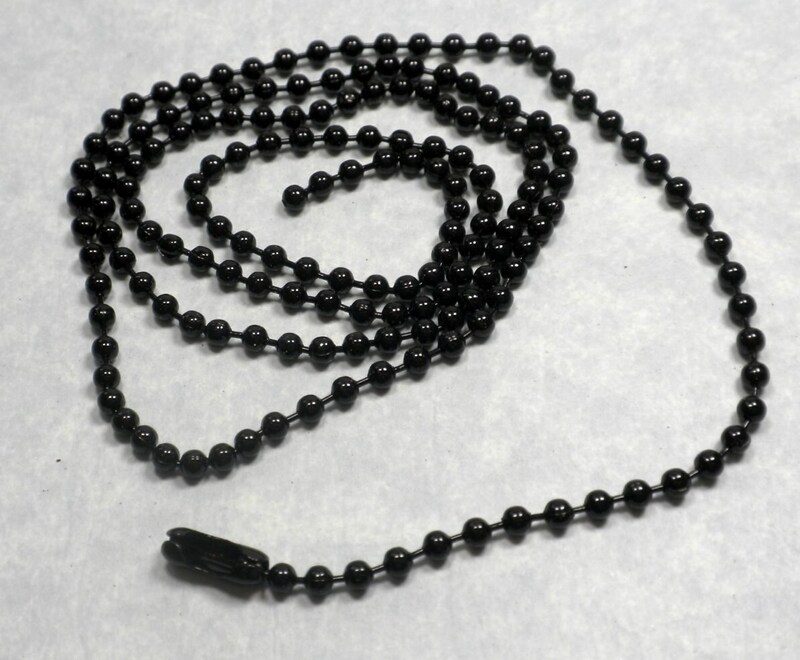 These black color chains are versatile and go with many jewelry styles. Crazy fast shipping, best you can get!